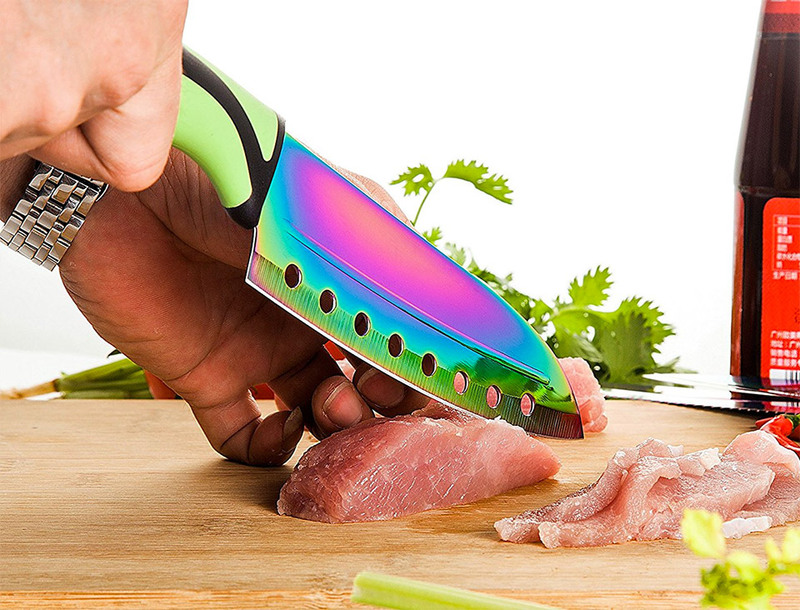 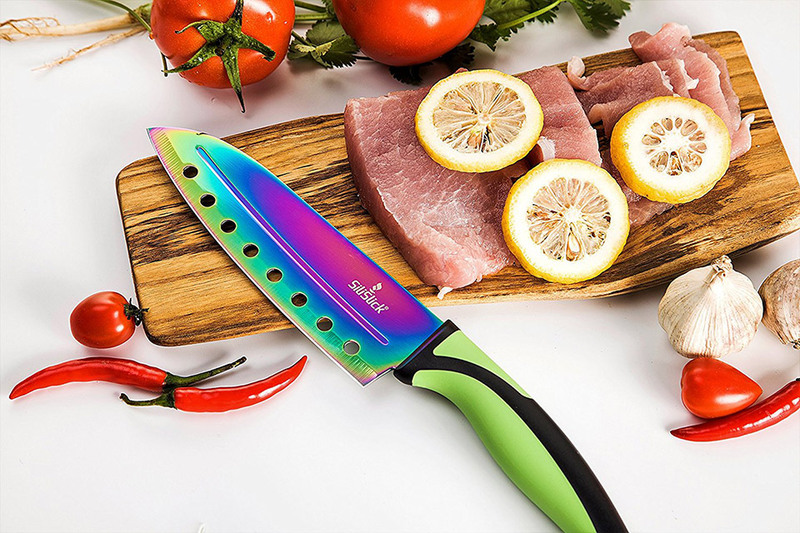 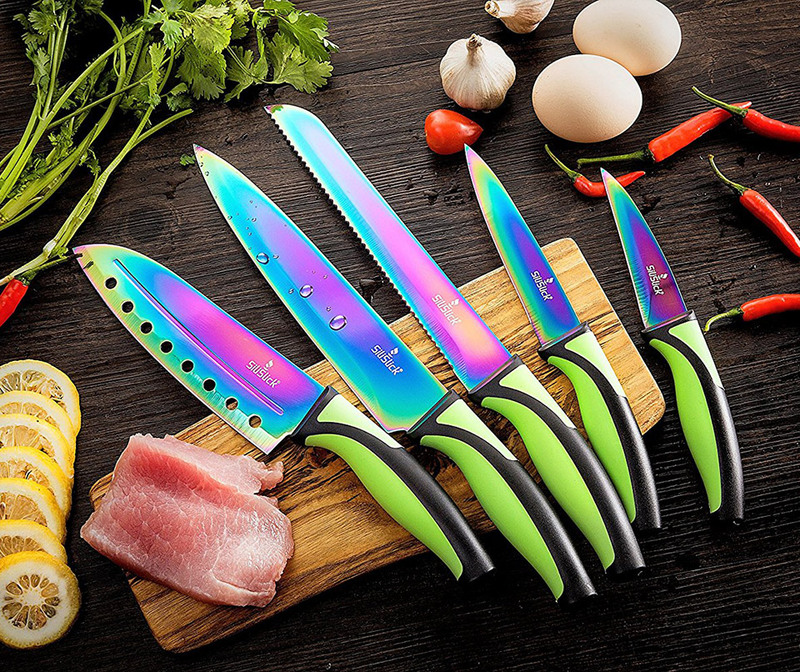 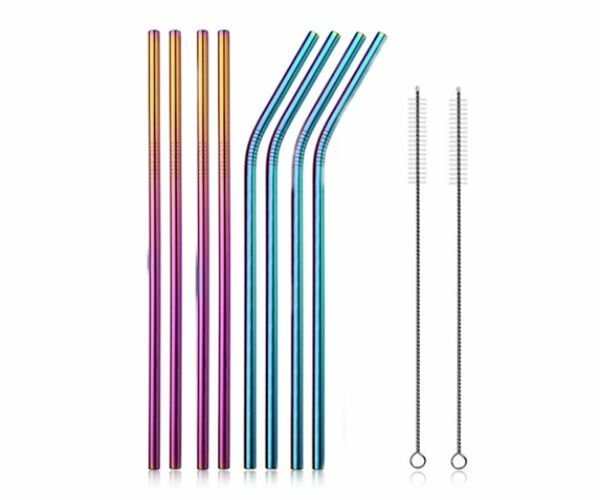 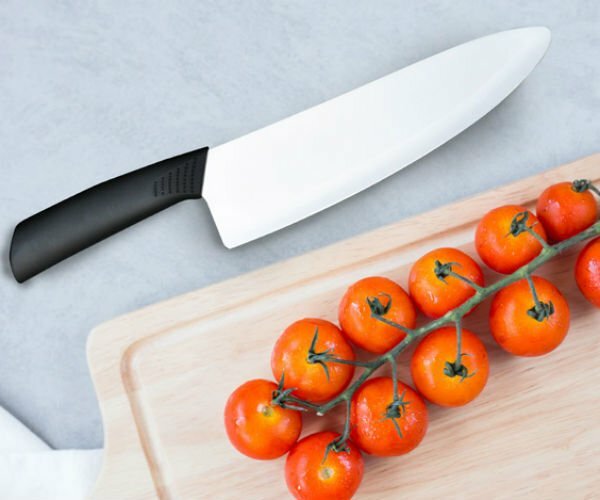 An eye-catching and unique set of stainless steel kitchen knives with titanium rainbow electroplating. 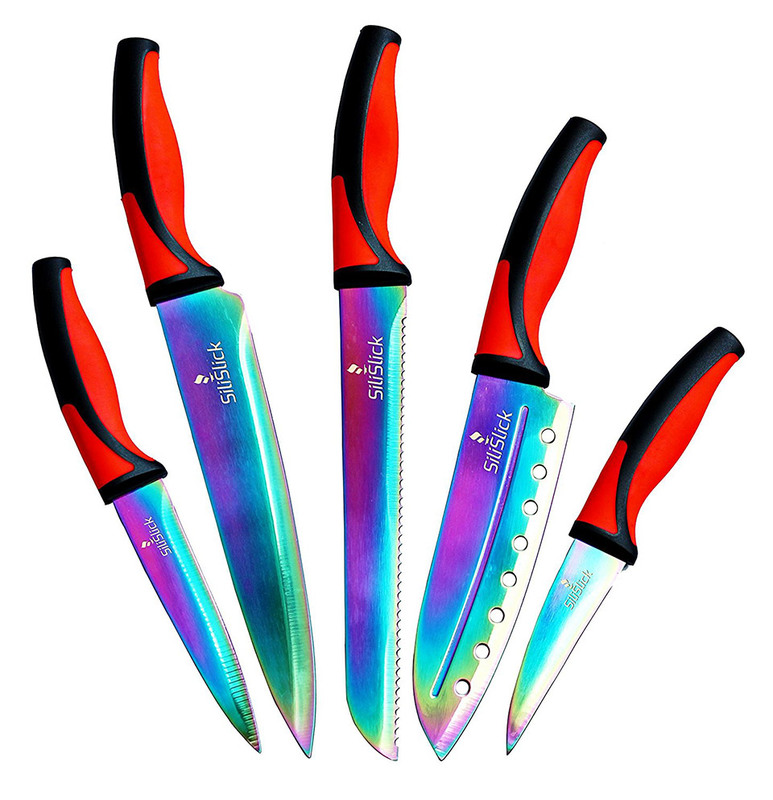 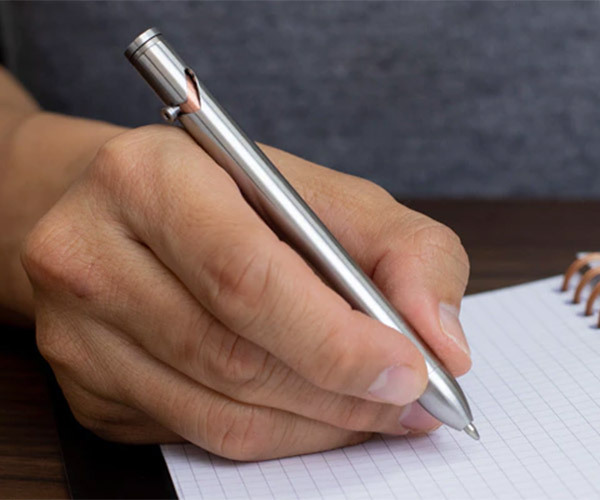 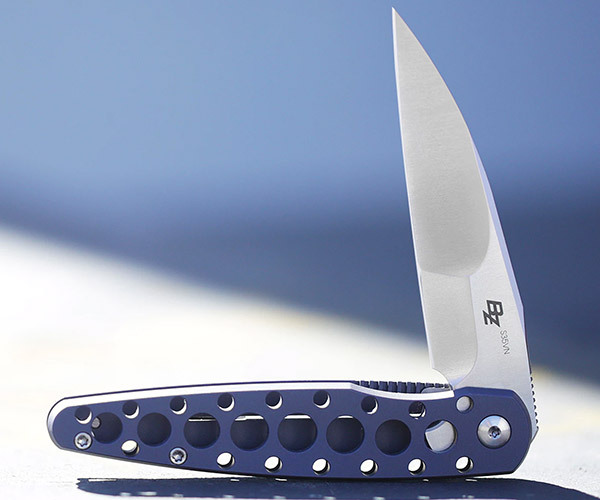 Includes an 8″ chef’s knife, 8″ bread knife, 7″ santoku knife, 5″ utility knife, and a 3.5″ paring knife. 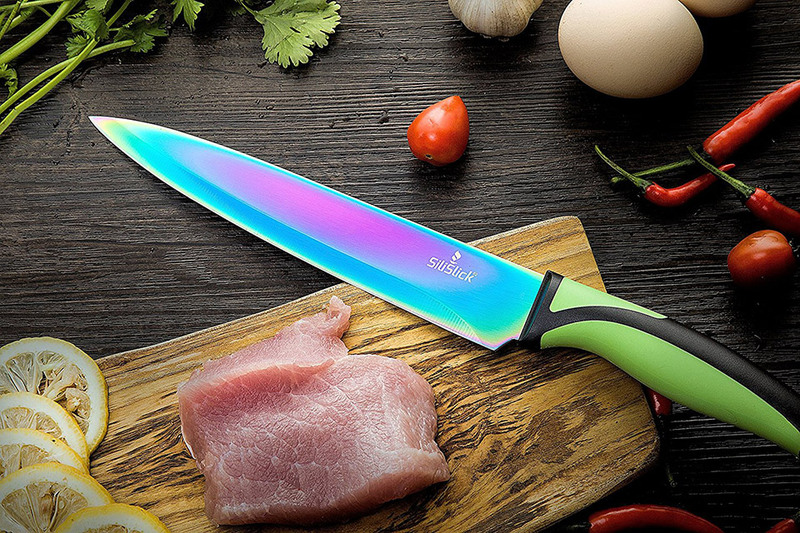 Available with red/black or green/black handles.